10 tips for healthy hair, and the best vitamins that will strengthen and beautify those pretty little locks! During my last pregnancy, my hair grew like a weed and it was strong and shiny and so pretty. Just a couple months after her arrival, it began falling out- quickly– and it didn’t look like it had plans to return any time soon. I did some research, put some ideas to the test, and thankfully I found some products and practices that made my hair happy again! Here are 10 easy ways to get healthy hair without drastic measures. Some of these tips should be simple reminders, but some could make all the difference on the health of those pretty little locks of yours! How can I make my hair grow super fast? Do not brush your hair while wet- it can lead to breakage. 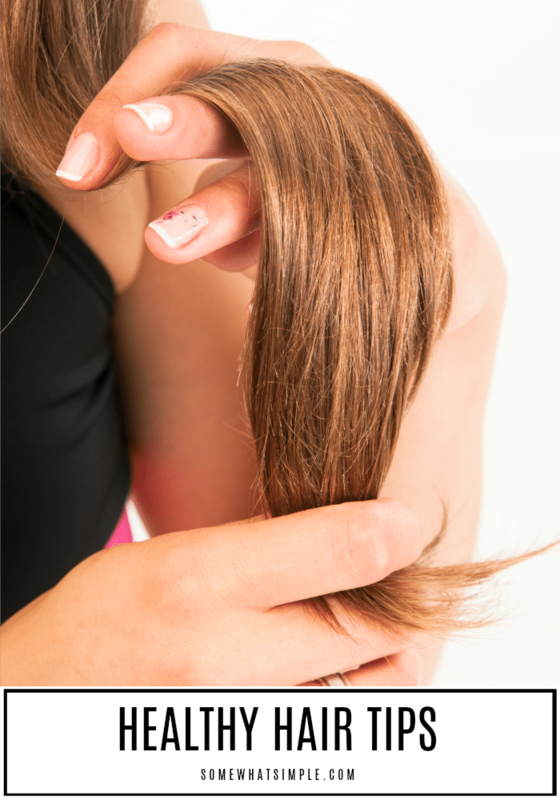 After conditioning, rinse your hair with cold water to cut down on frizz. It is best to brush your hair with a soft-bristle brush or wide-toothed comb. 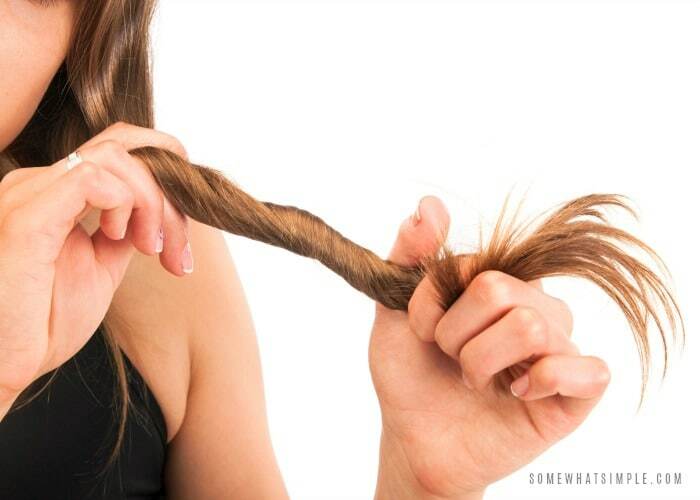 Less pulling and more flexibility causes less damage to your hair. 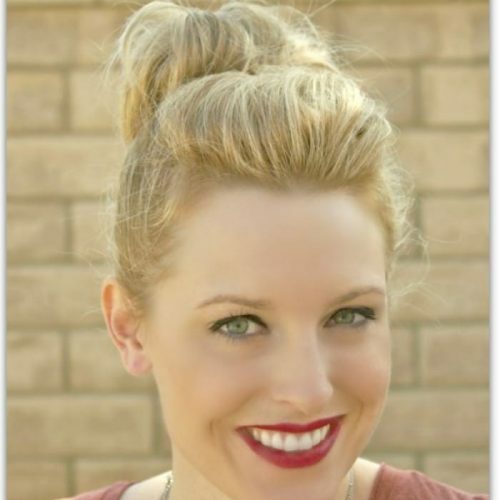 Do not pull your hair back into a tight ponytail or bun every day- this will cause breakage. If you need it out of your face, use bobby pins or a big clip- something that isn’t as constricting as a rubber band or hair tie. I started using THESE spiral hair ties and I LOVE them! They don’t leave a crease in your hair, so you can wear your hair one day and drop your hair down the next and there isn’t any proof of a pony tail! Massage your scalp everyday for 5 minutes to promote growth. Get frequent trims (every six to eight weeks) to prevent your hair from drying out. Keep yourself healthy from the inside out- eat healthy, drink plenty of water, rid the stress, and quit smoking. Ditch the heat. Avoid the blow dryer, curling iron and straightener as much as you can! Air drying is best. Take supplements to strengthen and promote growth to your hair. 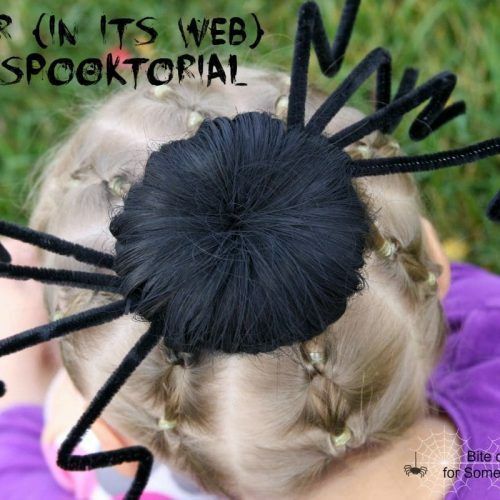 Biotin – promotes growth of existing hair, produces keratin, and works to increase hair’s elasticity. Niacin (Vitamin B3) – promotes blood circulation to the scalp. Pantothenic Acid (Vitamin B5) strengthens and nourishes the hair follicle. Fish Oil – helps add moisture and shine. What is the best vitamin for hair loss? Vitamin A – keeps your hair moisturized and aids in growth. Good sources include sweet potatoes, carrots and spinach. B-Vitamins – carry oxygen and nutrients to your scalp. Good sources include whole grains, meat, seafood and dark greens. Vitamin C – makes collagen to prevent hair from aging. Good sources include peppers, citrus fruits and strawberries. Vitamin E – prevents stress and boosts growth. Good sources include sunflower seeds, almonds, spinach and avocados. Iron – Iron deficiency is a major cause of hair loss, especially in women. The best sources includeeggs, red meat, spinach and lentils. What vitamins make your hair thicker? Biotin (Vitamin B7) Eggs have a good amount of biotin. Vitamin C. Try drinking more orange juice! Niacin (Vitamin B3) Eat more peanuts. 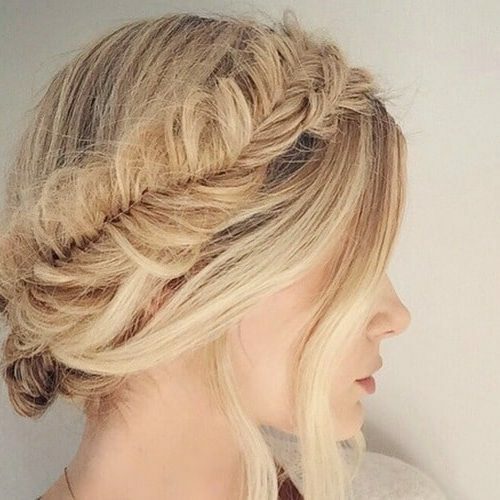 Do you have any simple healthy hair tips?